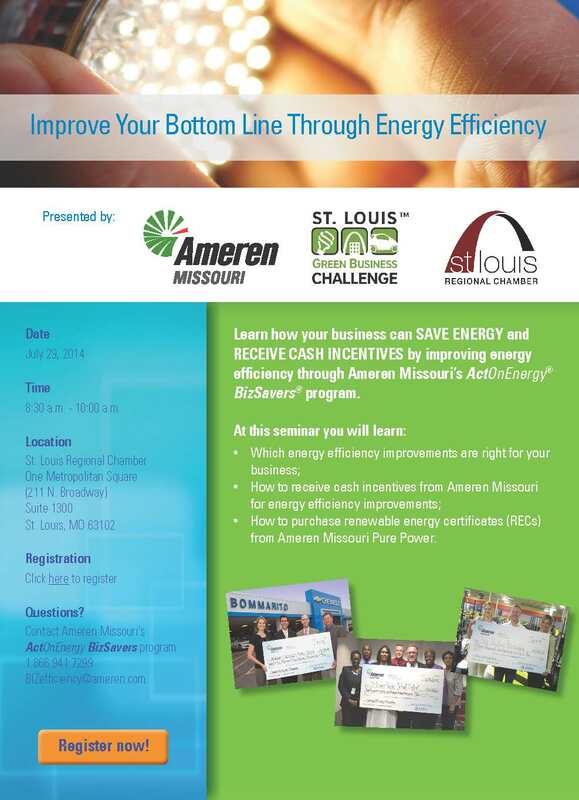 Learn how your business can SAVE ENERGY and RECEIVE CASH INCENTIVES by improving energy efficiency through Ameren Missouri’s ActOnEnergy BizSavers program. • How to purchase renewable energy certificates (RECs) from Ameren Missouri Pure Power. The Green Schools Quest was the topic of discussion on the Big 550-KTRS’s “Growing Green St. Louis” on Sunday, June 29. Hope Gribble, USGBC-Missouri Gateway’s Education & Green Schools Coordinator was joined by Tiffany Tibbs, parent at Kennard Classical Junior Academy; Carolyn Green, USGBC-MGC Green Mentor and parent with Maplewood-Richmond Heights Early Childhood Center; and Anne Marie Lodholz, teacher at St. Louis University High School. This group of Green champions tells several chapters of the inspiring Green Schools Quest story. This program includes invitations to new mentors and schools to get into the Green Schools Quest for 2015! “Growing Green St. Louis” is produced on the Big 550-KTRS by host Jean Ponzi, for the Missouri Botanical Garden; the show is sponsored by St. Louis Composting.